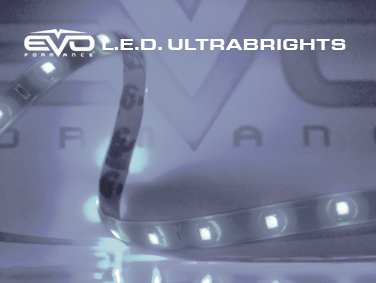 EVO's LED Ultrabrights are felixible, completely flat LED strips that are 100% waterproof. You can cut them to your desired length, with no soldering necessary. Simply cut and clip. The ultrabrights are comletely flexible, and can be used as eyebrow lights or for interior and exterior accent lights. 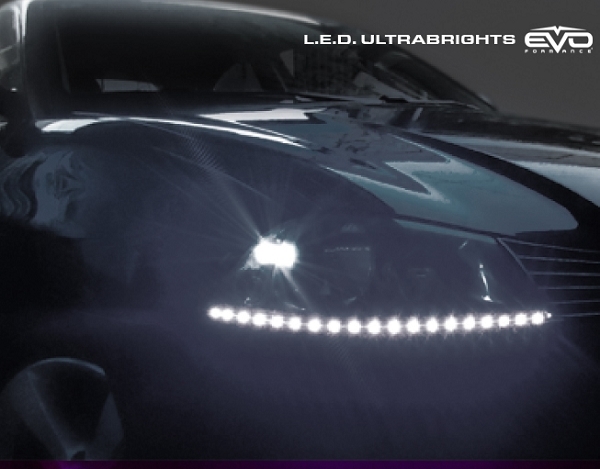 All ultrabrights are mounted on Authentic Adhesive 3M, and are only 1.5mm thick. Two versions available with or without "Try Me" buttons. 12V connection connects directly to the vehicle eletrical system without transformers. Includes one 50cm strip (with one connector clip) and "Try Me" button.